Leading mobile manufacturing company Sony launched two Xperia series Android smartphones at the first day of CES 2013 (Consumer Electronics Show). 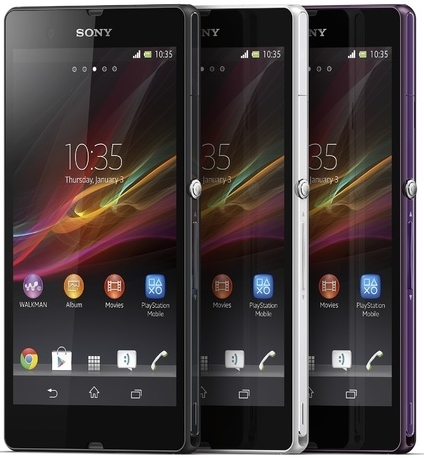 Named as Xperia Z and Xperia ZL. 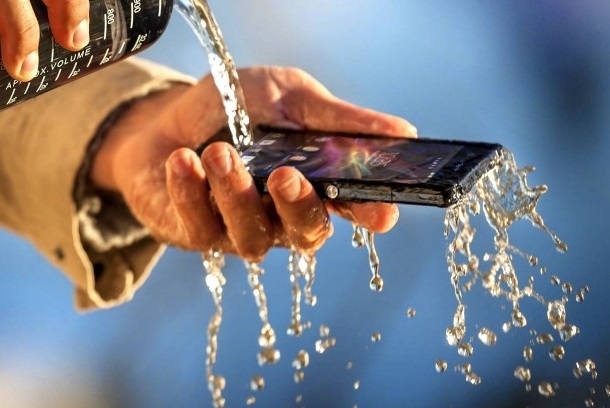 Sony Xperia Z is a water and dust resistant (IP55 & IP57 certified) smartphone. It come with 5-Inch Full HD capacitive touchscreen Reality Display with Mobile BRAVIA Engine 2. The display support 16M colors and 1080 x 1920 pixel screen resolution. The device runs on latest version of Android v4.1.2 (Jelly Bean) operating system and it has sony TimeScape UI on top of it. The smartphone powered by 1.5 GHz Snapdragon S4 Pro Quad-core processor with Adreno 320 Graphics processor, 2 GB RAM, 2330 mAh Li-Ion Non-removable battery. The Xperia Z also includes Battery Stamina Mode, that is used to improve the stand-by time by four times or more by automatically shutting down battery draining apps whenever the screen is off and starting them up again when the screen is back on. Sony Xperia Z sports 13.0 Megapixel powerful camera with latest Sony's Exmor RS sensor, camera features Auto-focus, LED flash light, Face detection, Geo-tagging, and 4128 x 3096 pixel resolution. 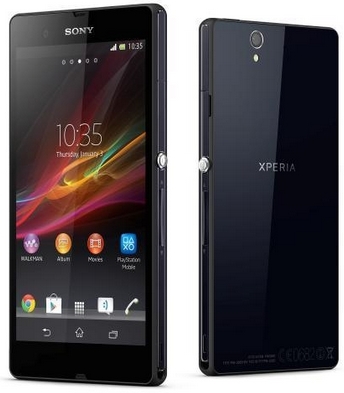 Sony Xperia Z come with 16 GB internal storage space and it expandable up to 128 GB via MicroSD card slot. The Xperia Z also packed with Mirroring One Touch technology, which allows you to simply the screen display on an external monitor, all in a few seconds. The smartphone features connectivity facility through 2G, 3G and 4G networks. It also offers high speed data via WLAN (Wi-Fi 802.11 b/g/n, Wi-Fi Direct, DLNA, Wi-Fi hotspot), EDGE, GPRS, Micro USB v2.0 and Bluetooth with A2DP. GPS enabled.